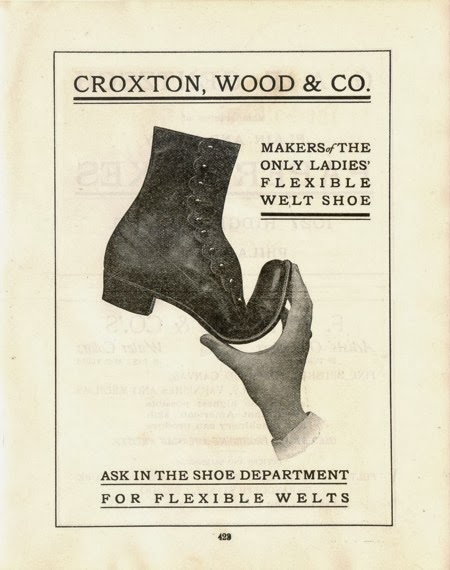 1906 | Croxton, Wood & Co. 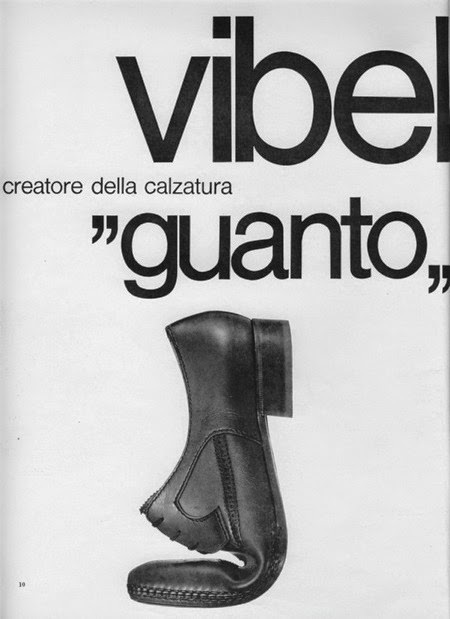 Le nuove scarpe spesso vengono presentate piegate, per dimostrare che sono morbide come guanti. 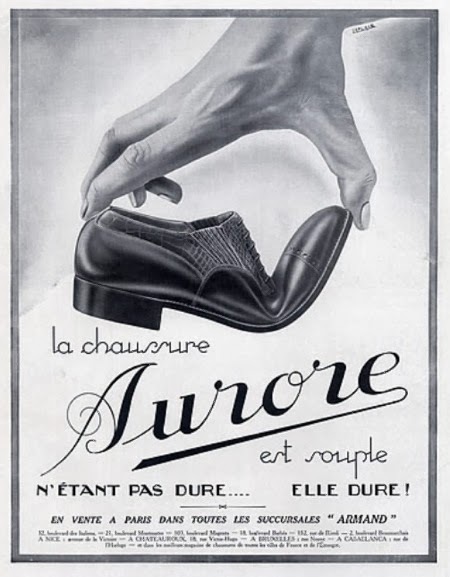 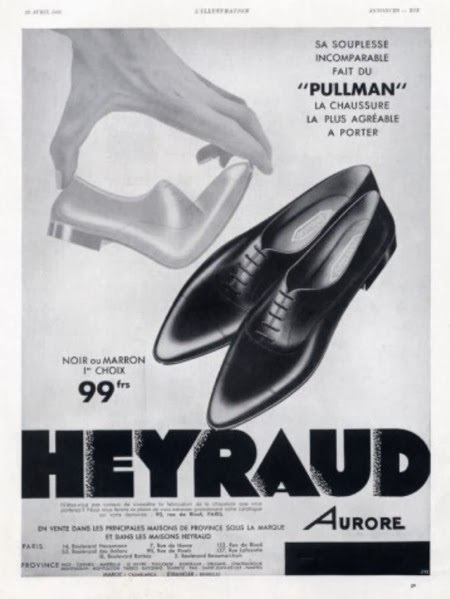 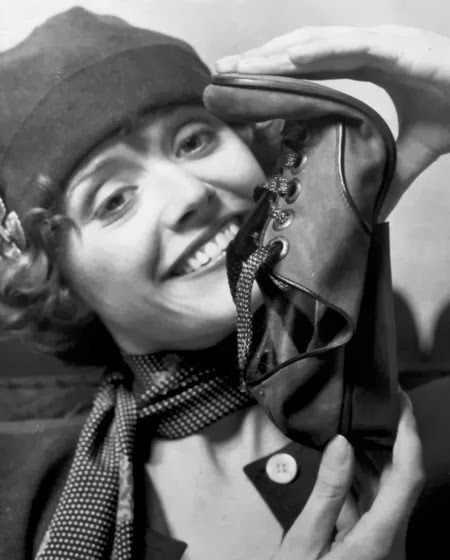 The new shoes are displayed folded to show they are as soft as a glove.